(c) 2012 All astro photo images are copyrighted. They may not be used or reproduced without explicit written permission from the authors. One of the "Guest images" on the Capella Site. 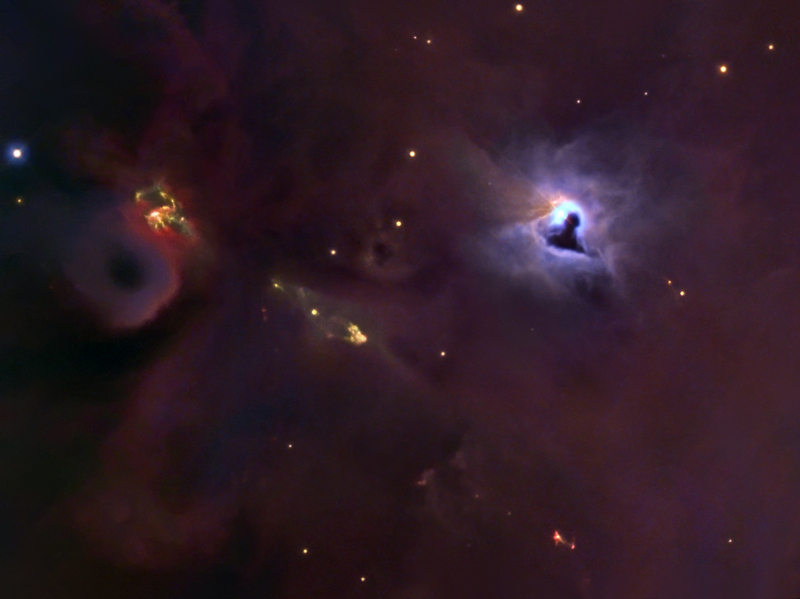 The image was shot with the main Skianaks telescope. 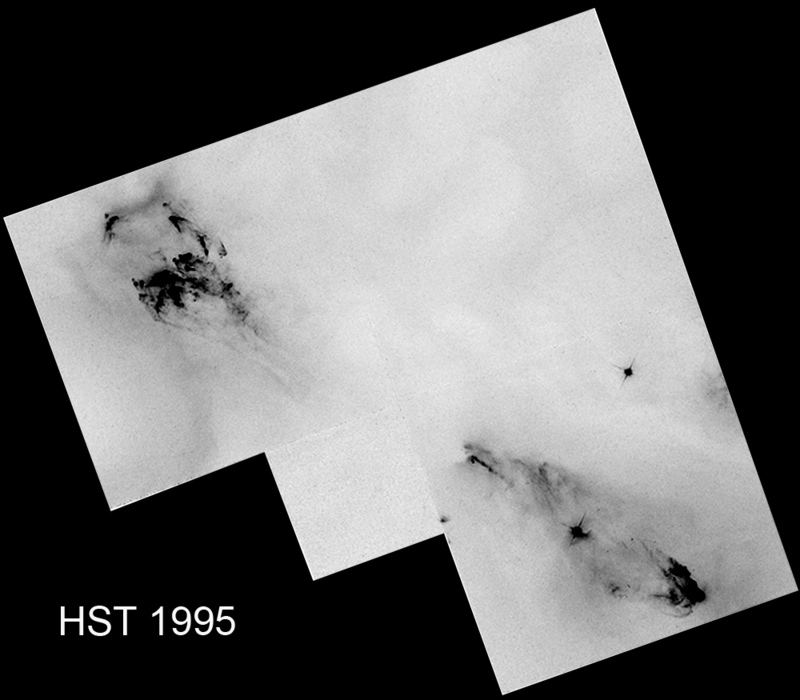 The inverted view below shows the changes in the area of the bipolar jets and the HH-objects 1 and 2 in a 16 year period. Eines der "Gastbilder" auf der Capella-Seite. Das Bild wurde mit dem Skinakas Hauptteleskop belichtet. Die invertierte Darstellung unten zeigt die Veränderungen im Bereich des bipolaren Jets und der HH-Objekte 1 und 2 über einen Zeitraum von 16 Jahren.